Events	Media	03. 01. 2018. After pulling out from Abu Dhabi exho and ATP Doha event due to pain in his right elbow, Novak is travelling to Australia where he will take part in two exhibition tournaments. After the two events, the decision will be made about his participation at the first Grand Slam of the season, the Australian Open (15-28 January, 2018), where Nole has been crowned champion six times. The Serbian star will be making his long-awaited return to the game by playing his second Kooyong Classic (10-12 January). He reached semi-final there in 2010. Novak will play his first match against Austrian Dominic Thiem on January 10, about 13:00 local time (03:00 CET). Nole will also be making his appearance at Tie Break Tens tournament at Margaret Court Arena at Melbourne Park on January 10 (in the evening). The Australian debut of the novel format comes after three previous editions in London, Vienna and Madrid. Novak and Lleyton Hewitt will kick-off the first-round tie break match-ups on Wednesday at 19:30 local time (09:30 CET). The slogan of the innovative event states: “Every point counts”. Each match will last for one tiebreak, with the first player to 10 points winning. 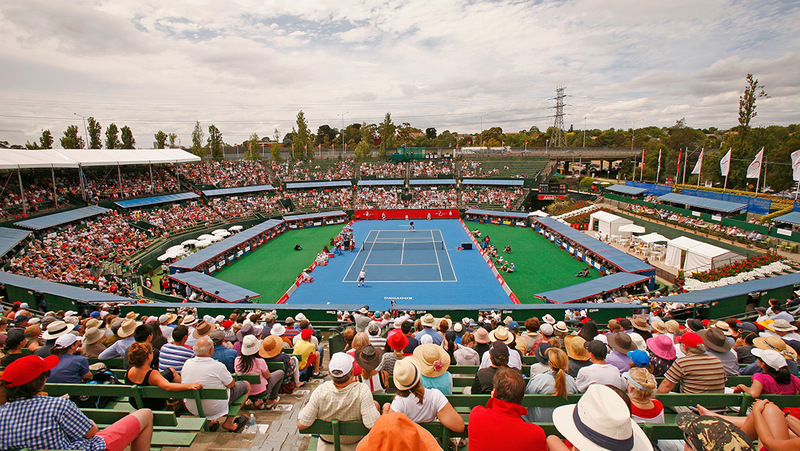 Rafael Nadal, Stan Wawrinka and Nick Kyrgios are also playing at the Melbourne venue.